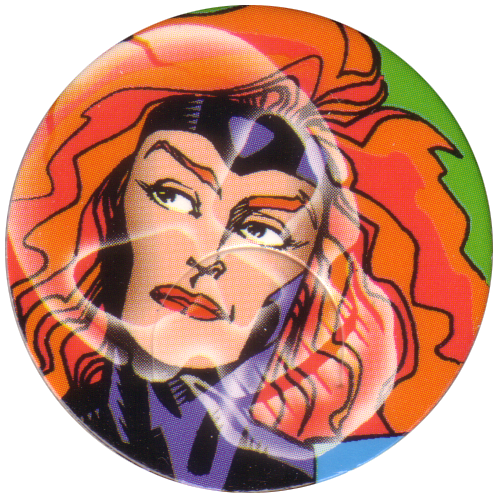 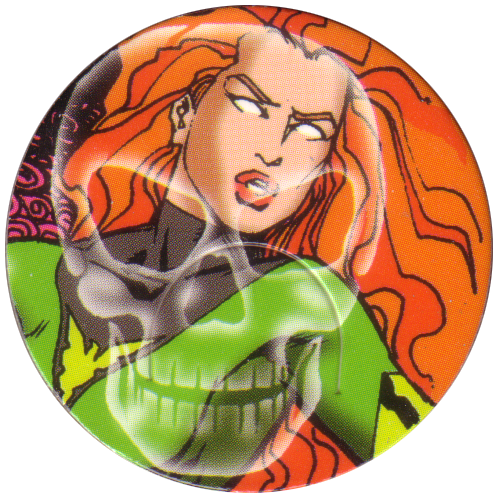 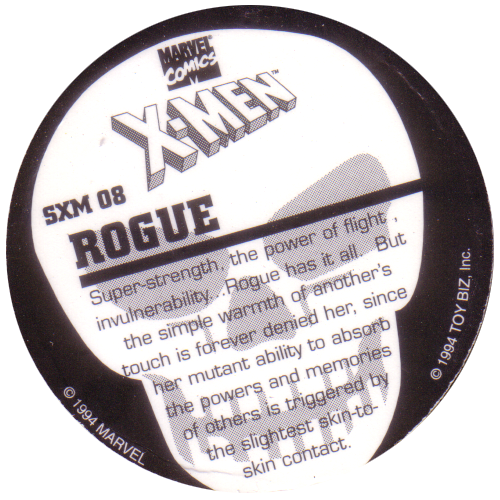 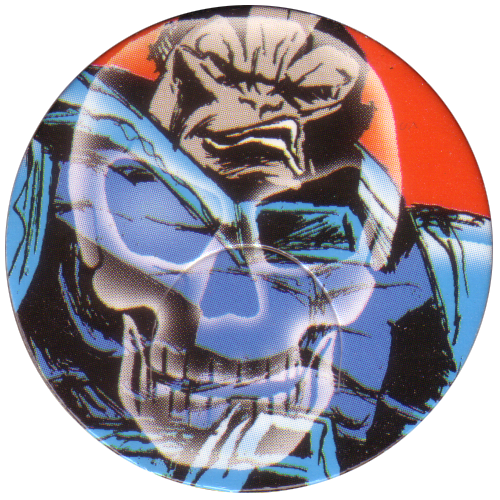 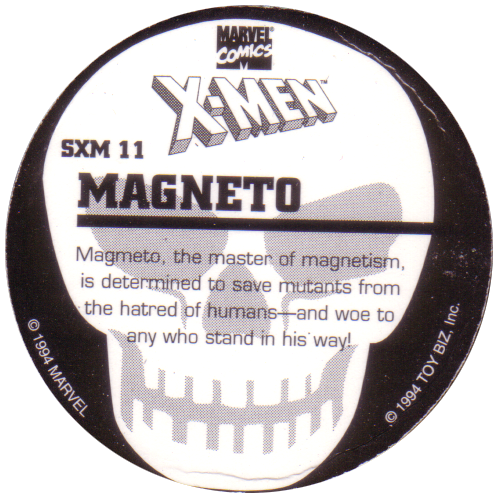 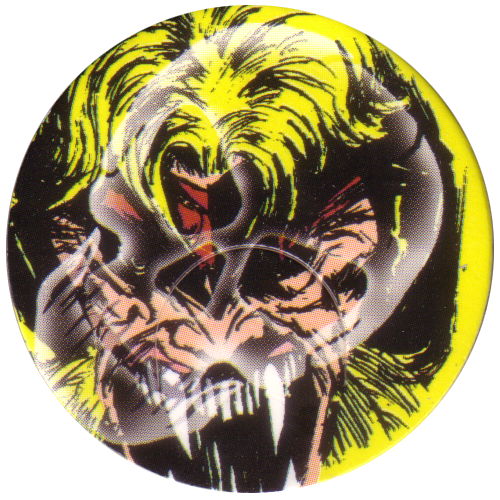 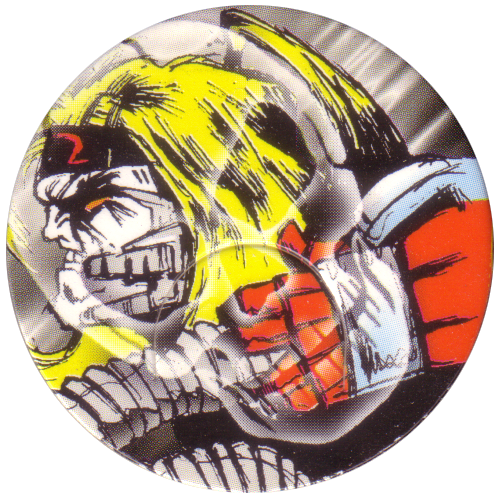 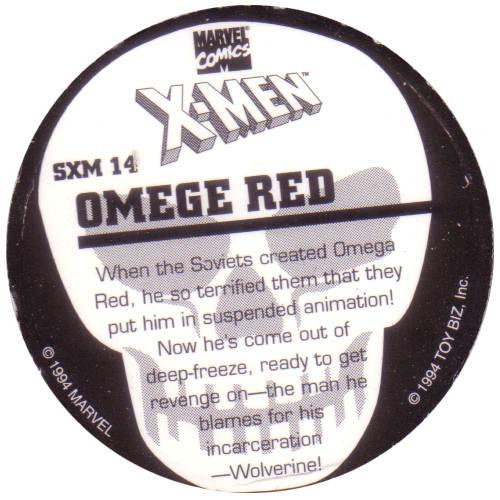 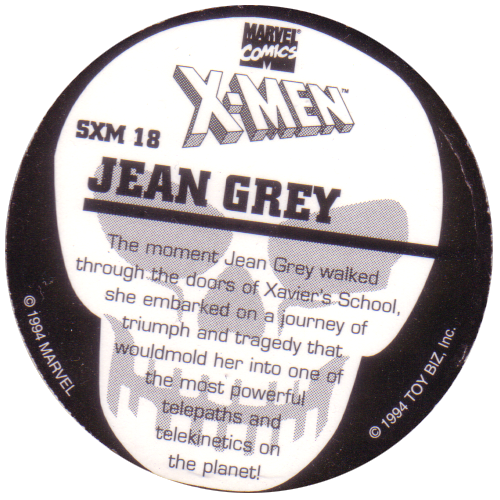 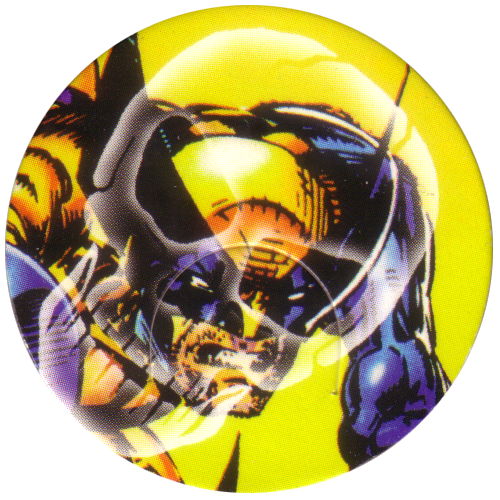 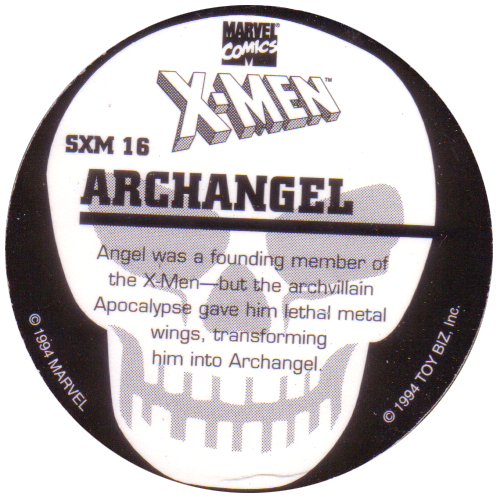 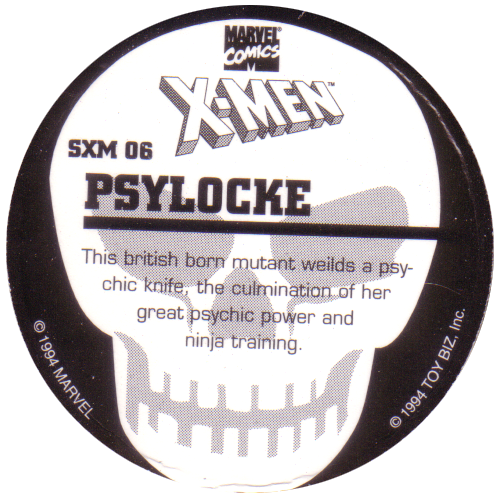 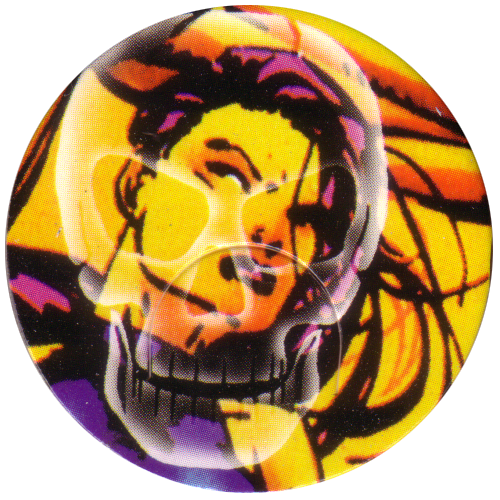 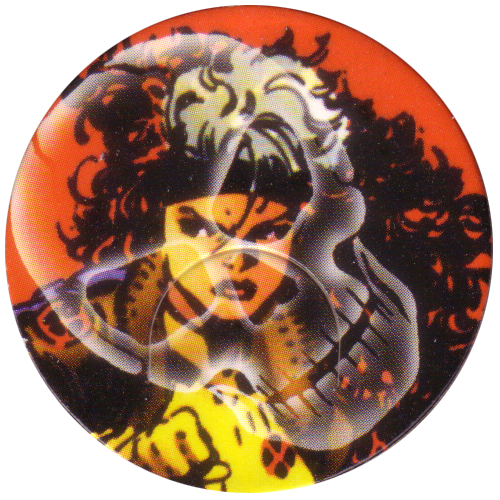 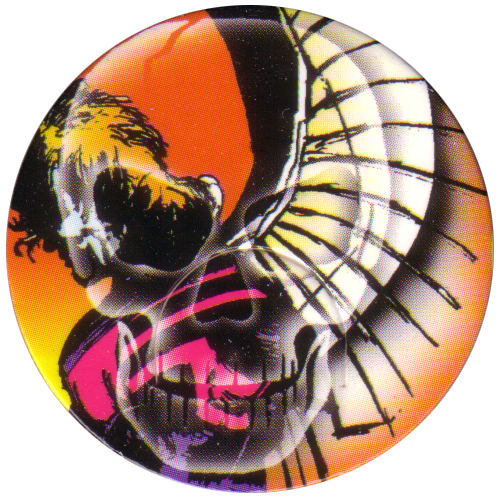 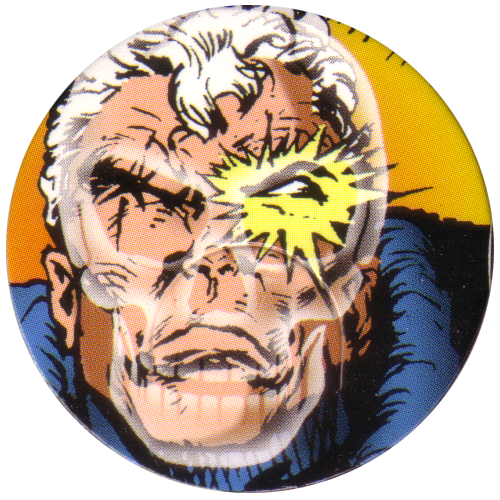 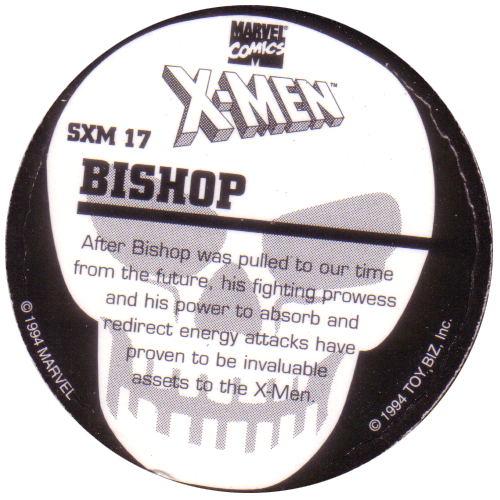 Info:This is the full set of 16 X-Men pogs issued by Toy Biz in 1994. 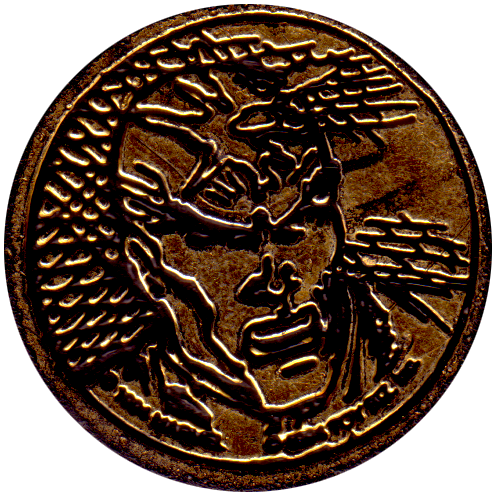 Strangely, the numbering starts from number 3, there is no number 1 or 2. 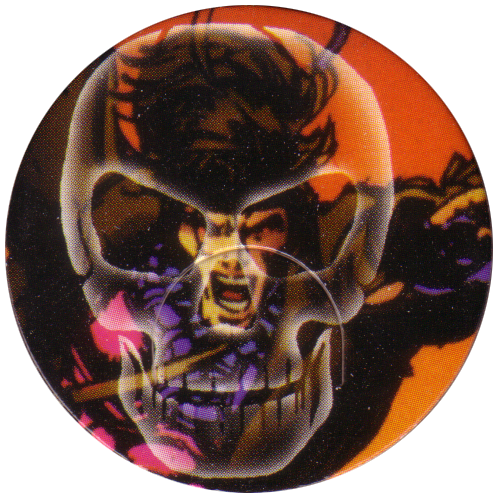 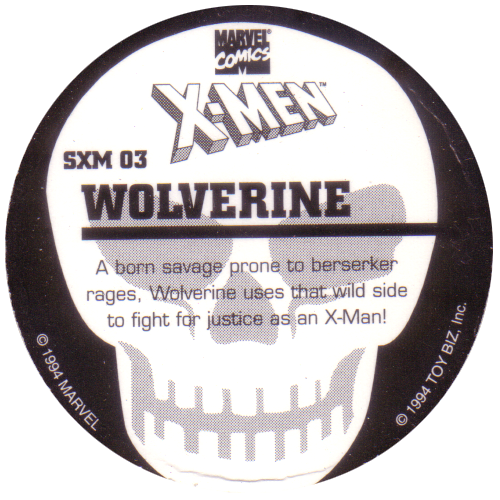 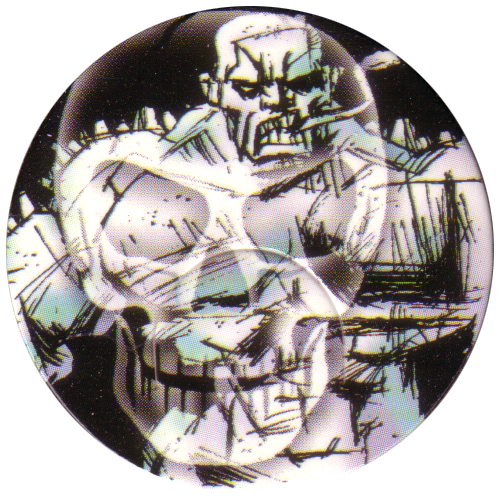 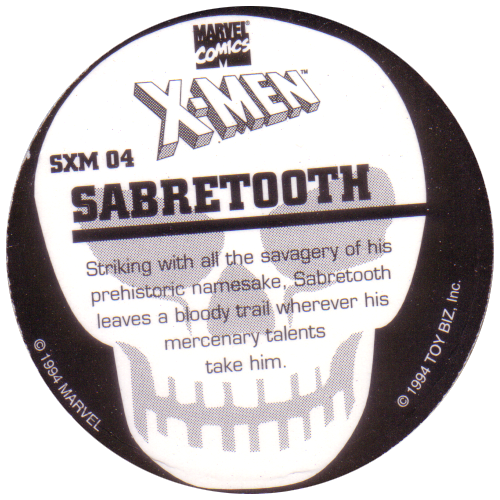 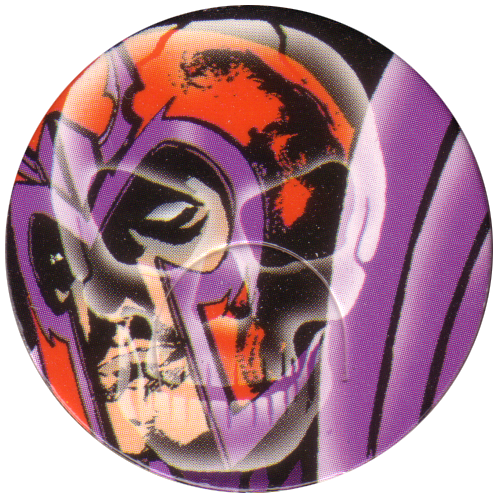 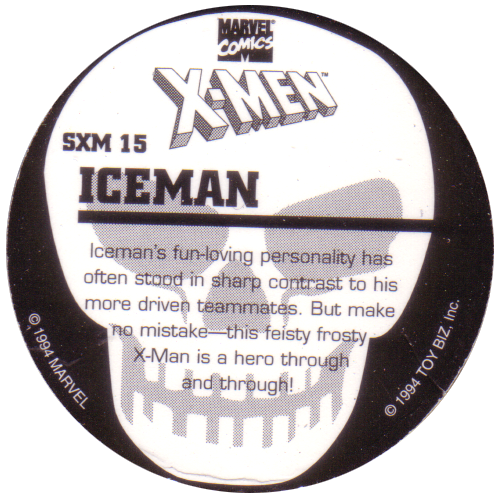 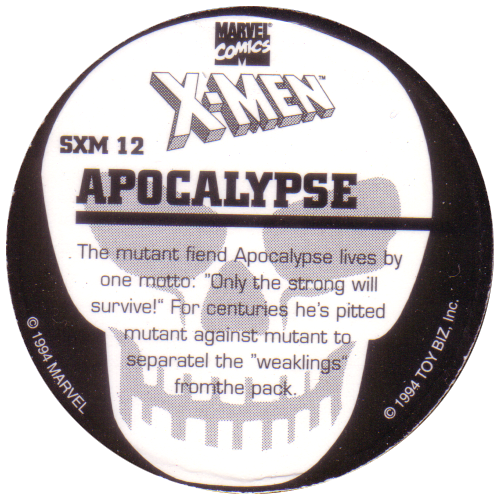 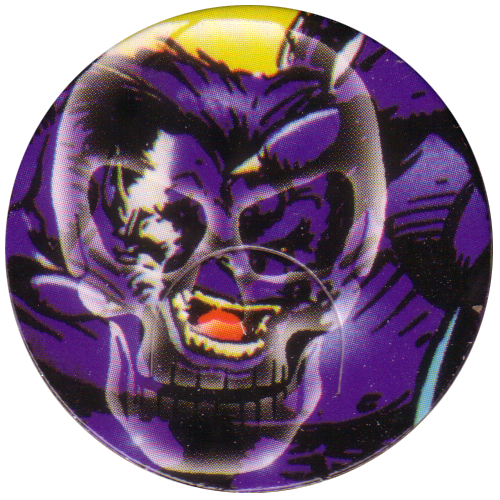 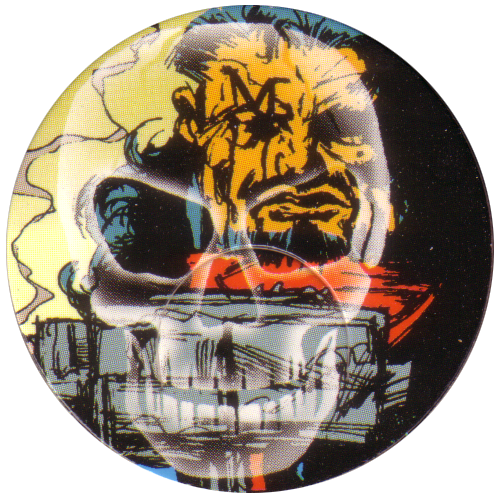 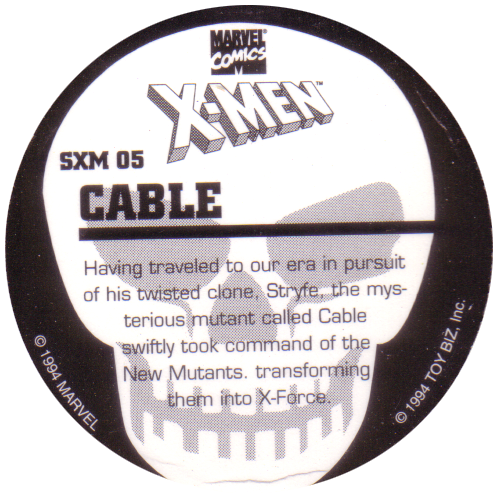 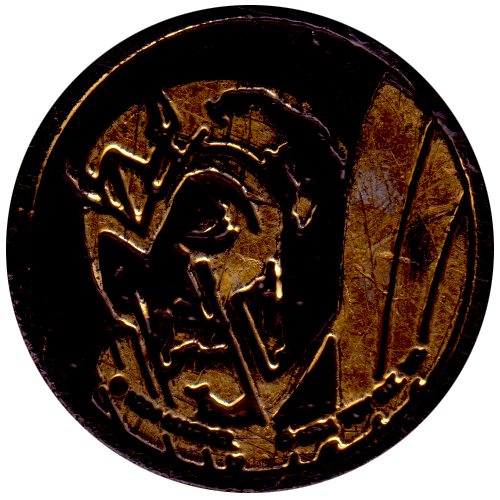 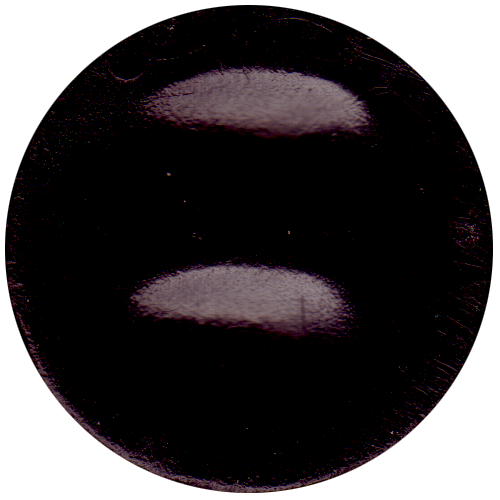 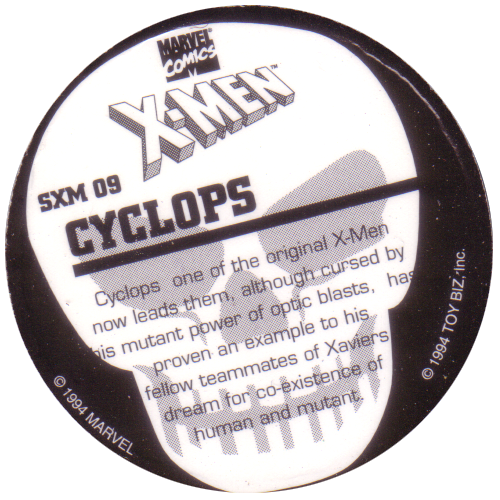 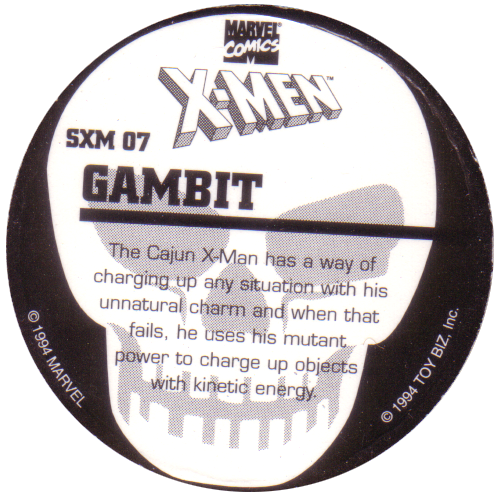 The milkcaps all have an X-Men character with a skull watermark on the front, and a description of the character on the back. 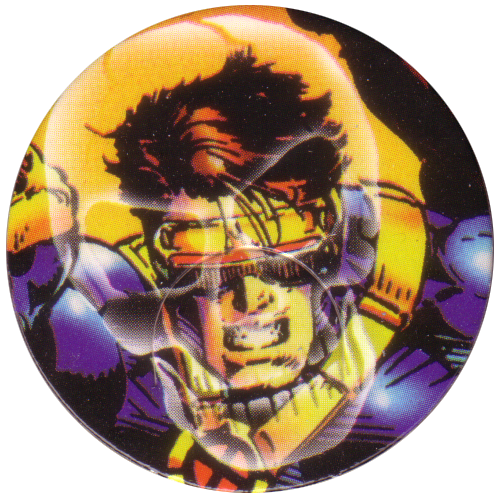 There are also 2 slammers here, but I am not sure how many different slammers were issued.